Complaints about the motor trade have decreased in the first part of 2016, following changes to the Consumer Rights Act late in 2015. However, used vehicles still remain the third most complained-about service to Citizens Advice. 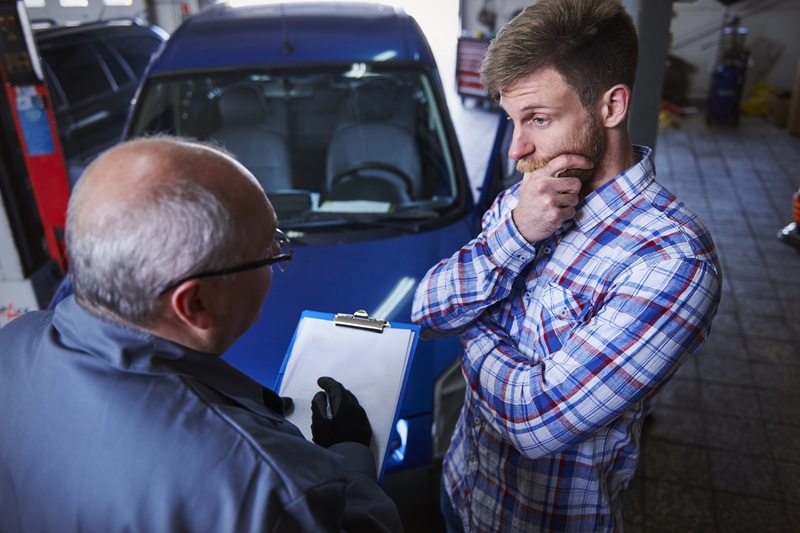 And research conducted by the Motor Ombudsman shows that a third of drivers (34 per cent) have experienced an unresolved dispute with a garage. More than half (57 per cent) of drivers who have had a dispute didn’t know where to get help. How afraid are we of garages? Very, it would seem. The research found that nearly half of us (43 per cent) are putting off going to a garage, even if we suspect a fault with our cars. The concern is this could be putting car owners’ safety, plus that of other road users, at risk. It also discovered that a third of drivers avoid garages because they’re worried they can’t explain what’s wrong with their car; a third are intimidated by the garage; and 38 per cent of drivers have skipped having their cars serviced altogether. The most popular reason for this was that they were concerned about being ripped off. Does the Motor Ombudsman cover all garages? A garage or trader has to be a member of one of the Motor Codes schemes for the Ombudsman to work on the consumer’s behalf. The good news is, around a fifth of the UK’s 42,544 service locations are signed up to it. The Ombudsman says 38 manufacturing groups covering 99 per cent of UK new cars sales have signed up. You will know whether a garage has signed up because it will have a badge with a blue tick saying Motor Codes, either on its building, on its paperwork, or both. The Motor Ombudsman advises anyone who’s having trouble with a non-accredited trader to contact Citizens’ Advice. The Motor Ombudsman is a voluntary and fully impartial private sector organisation set up to regulate the motor industry. The ombudsman is free of charge for consumers and doesn’t take sides with either the person complaining or the organisation being complained about. This impartiality is enforced by the government’s Chartered Trading Standards Institute. The ombudsman works in addition to consumer law and using an ombudsman is usually regarded as a way of trying to resolve a complaint without going to court. There are already ombudsmen for everything from rented housing to double glazing sales companies. How do you use the Motor Ombudsman? In most cases, drivers in dispute with a garage or dealer should complain to the organisation first, giving them the opportunity to sort the problem out. If that fails, they should then contact the Motor Ombudsman.